I usually don’t post on Facebook & never written any review, but I was so touched by Junkie Chute’s staff! 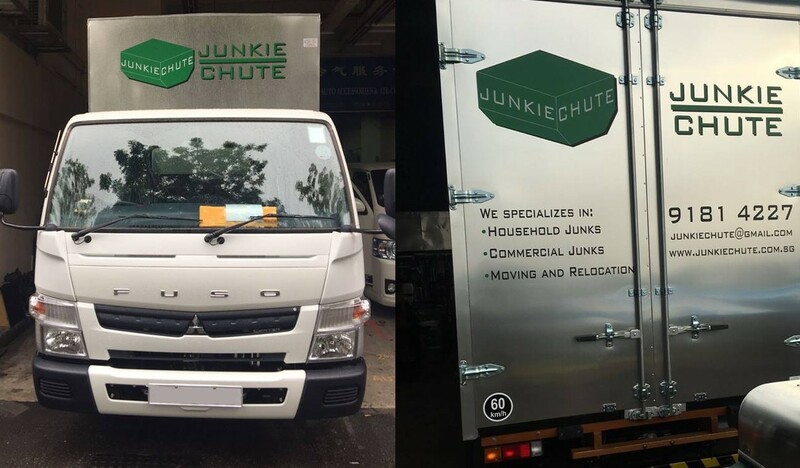 Last week, I called Junkie Chute to dispose of my late grandmother’s wardrobe, bed, old furniture, and boxes. They quoted me a reasonable rate and came down the next day. They carried the wardrobe to the first floor and was about to load it onto the lorry and leave. After removing the wardrobe, one of Junkie Chute’s worker(Mr. Tan) notices a hidden compartment which contains my grandmother’s photo and her jewelry. Although I stay in a flat with no elevator, he came back up to the fourth floor to return the gold chain and the photos. I did not expect him to be so honest and even bothered to climb up 4 stories to return me my grandmother’s personal belongings. He could have easily sold it for more than $500 for the gold chain. But the most valuable item was the photos of my Grandmother and me when I was little. I wanted a photo of him to post but he declined and told me it is a small issue it’s within his job ethics. He told me in Mandarin: “I live by working earnestly, stealing will get me nowhere”. Previous ArticleBEWARE OF THIS WEDDING PLANNER! $14,000 CHEATED! Next Article NTUC VEGETARIAN PRODUCT CONTAIN NON VEGE INGREDIENTS?